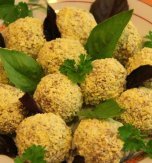 We offer you a yummy and easy recipe for your breakfast. 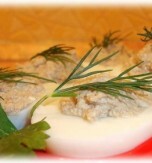 Baked eggs in sour cream is a light, tender and noncaloric dish to start a day. 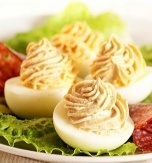 Cook hard boiled eggs, peel them and cut into circles. Place them in a little baking sheet greased with dairy butter. 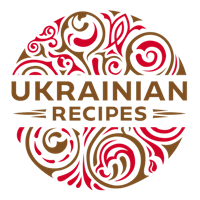 Pour the sour cream above and bake the eggs in the preheated oven at 180°C (356°F) for 10-15 minutes. Season and pepper the dish. 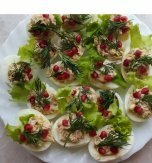 Top it with chopped dill before serving. 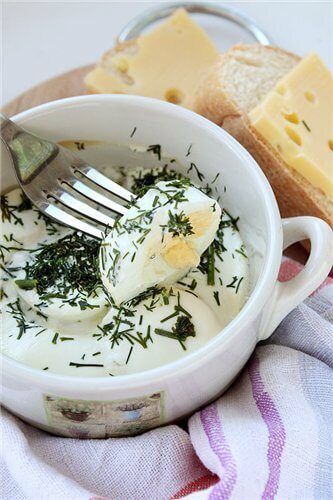 Do you have a favorite Ukrainian recipe for baked eggs with cream and dill? If so, please let us know in the comments below or write us an e-mail.